Curious about virtual reality (VR) after seeing the movie adaptation of Ready Player One? We can't give you The Oasis (Sorry! 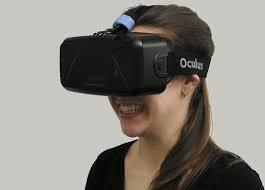 ), but we do offer Oculus Rift (state-of-the-art VR tech) at our Betty Rodriguez and Sunnyside branches! At scheduled times, you can stop by these libraries and use this equipment to explore new environments, play games and more! See the schedule here.